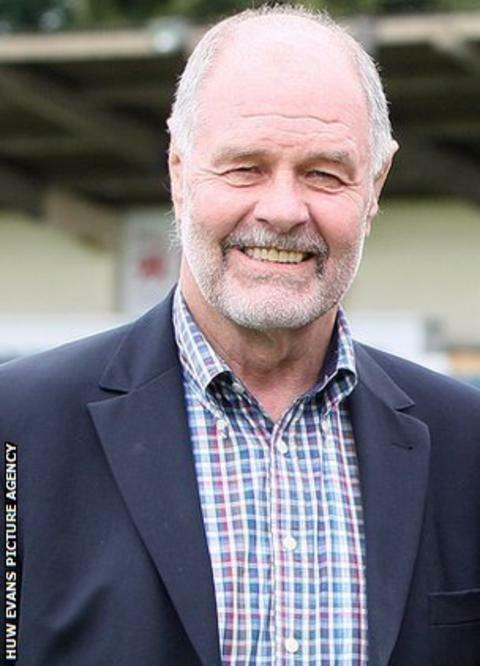 London Welsh chairman John Taylor has predicted leading English and French clubs will not form a breakaway competition amid the row over the future shape of the Heineken Cup. Taylor predicts a compromise will be struck to avoid a split in the game. Heineken Cup qualification for Welsh regions is currently based on the order they finish in the Pro12 season. The highest-placed three Welsh sides in Pro12 are guaranteed a spot in European rugby's premier tournament, with the fourth entering the second tier Amlin Challenge Cup. Premier Rugby, representing England's top 12 clubs, is in conflict with European Rugby Cup Ltd over the issue. "I would certainly not like to see a breakaway English-French competition," said Taylor. "I don't think it'll happen. I think there'll be a compromise." Taylor has admitted to being "excited" by the £152m, four-year deal between Premier Rugby, representing England's 12 leading clubs, and BT Vision. ERC, the governing body of the Heineken Cup, believes Premier Rugby exceeded its powers by selling European rights for three years from 2014. The Premiership deal with BT Vision covers games from the 2012-13 season, but also includes a three-year arrangement to show live European matches involving leading English clubs. The Welsh Rugby Union and regions body Regional Rugby Wales have yet to comment on the issue. Taylor says London Welsh have no fixed view. But he added: "There's an argument, a very good argument, from the English Premiership that says the system actually mitigates against the French clubs and the English clubs. "We're mindful of that and we support it to an extent. "As a Welshman I certainly don't want to do anything to harm the Welsh cause. "And there is, though, a situation where the Irish clubs, three of the four Welsh clubs are guaranteed places in the Heineken Cup, the top division. "And there is certainly a feeling that there's an injustice there… and the English clubs having to finish in the top six to get their presence." He added: "I think the new deal that the Premiership are proposing with BT will be beneficial in any case because it's suddenly opened up that market. "It's a two-tier one, it's one that looks forward to Europe after 2014, but it comes into play in England as of next year . "And that's really important because it does put more money into the pot."